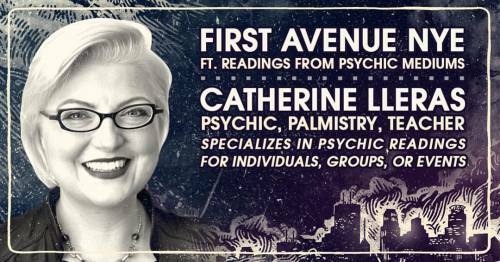 This New Year’s Eve, look ahead to 2017 with a palm reading from Psychic Artist and teacher Catherine Lleras. She specializes in Psychic Readings for individuals, groups, or events, and she’ll be on-site in the Mainroom from 8-10 PM offering FREE readings. Get here early.